On the high ground of Akaiwa District in Nakanojo Town, there are the historic remains of Suwa Shrine. 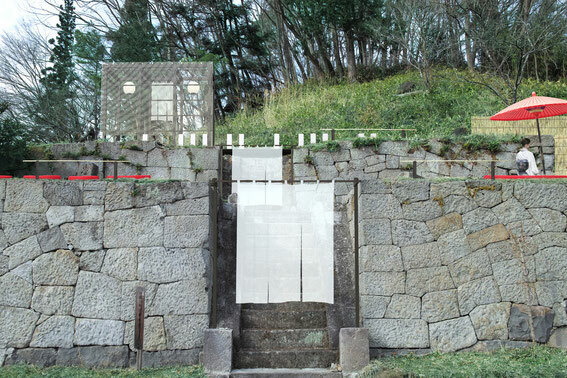 The main building of this shrine was demolished due to the policy of collective enshrinement imposed at the end of the Meiji period, and for a long time this site was vacant but for the remains of stone walls. The plan with this production was to rearrange this historical landmark by constructing a moveable teahouse on the site, in turn transforming the site into a place where various people can meet together. According to legend, Akaiwa District was the place where Takano Choei, a scholar of western studies, escaped and went into hiding after the suppression of western studies that began with the “bansha no goku” edict. Taking that anecdote as a theme, I considered ways in which the people of Nakanojo might have helped Choei in his escape. 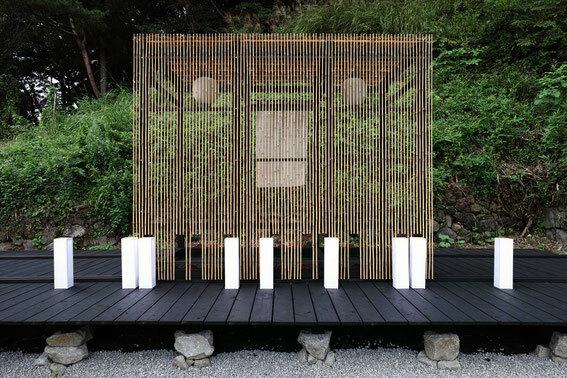 The moving teahouse itself was devised as a structure to be used as a coded installation enabling secret communication. 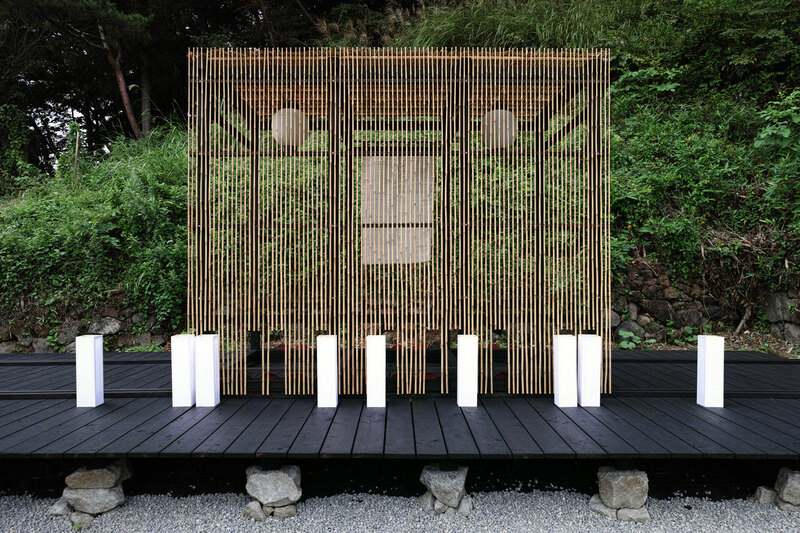 The teahouse can be moved along wooden rails. In front and facing the teahouse are paper-enclosed lanterns inscribed with characters. 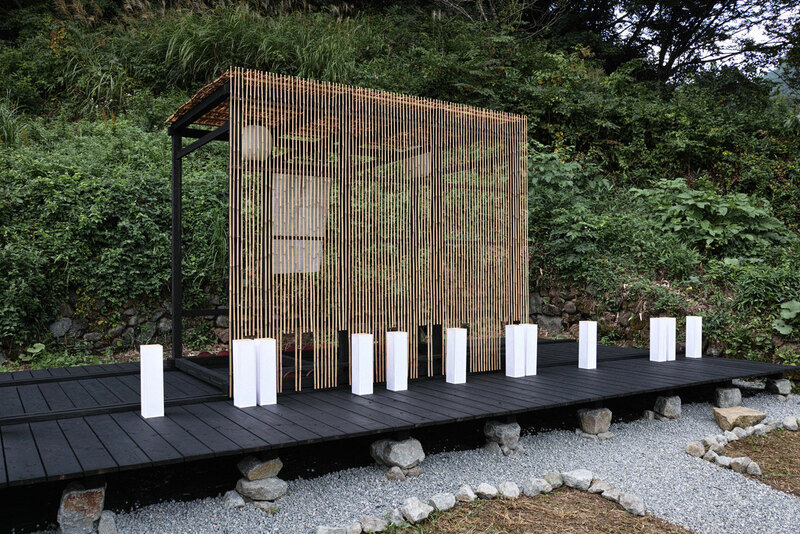 When moving the tea house while looking for places established at decoding points in advance, it is possible to read messages concealed in the characters inscribed on the paper-enclosed lanterns from holes in the vertical lattice. This mechanism adopted the 16th century Italian “Cardane grille” code system. Choei and his students in Nakanojo likely gained knowledge of this code system through the process of western studies and research. 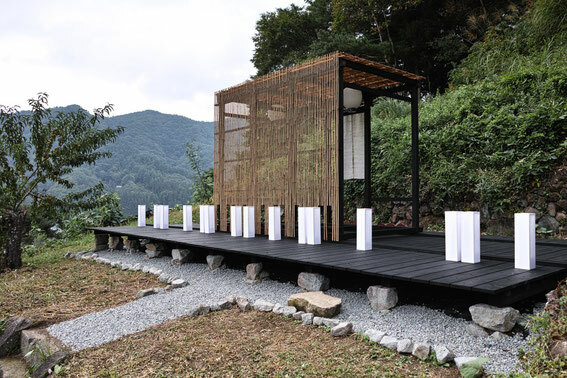 This work encodes the place names of Nakanojo where Choei is said to have concealed himself. For people appreciating the work today, the decoded place names will at the same time serve as a guide to sightseeing for the historical landmarks of Nakanojo.